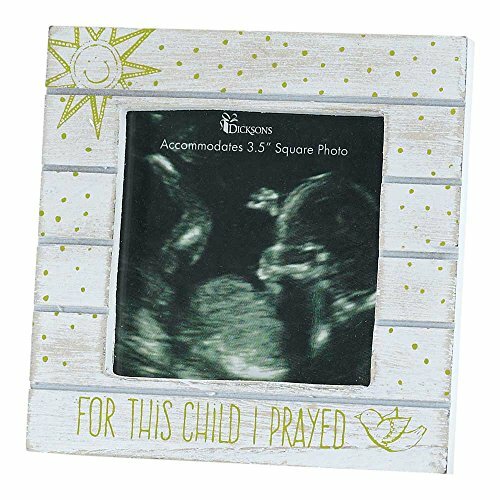 Petite photo frame has plank design with whimsical sun and bird, and the words For This Child I Prayed. Holds any photo that is about 3 1/2 x 3 1/2, actual window size is 3 inches). Great for ultrasound images, too. Easel back for tabletop display. Outer size of piece is 5"square, 1/2 inch thick. Made of MDF, a smooth, high quality wood material. Design copyright Jacqueline Decker, represented by Painted Planet Licensing Group.